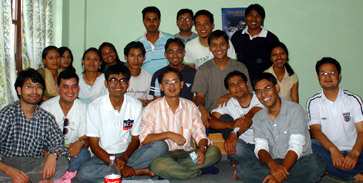 Innovative Development Activities in Society-Nepal (IDeAS-Nepal) is a non-profit non-government organization initiated by young enthusiastic people with different professional background. The organization is established under Bhaktapur District Administration Office with the registration number (…registration number…). The organization has registered office at Bholachhen-5, Bhaktapur Municipality. The main work area of the organization is Bhaktapur district, and municipalities and village development committees under the district. The organization can conduct and organize programmes in other parts of the country by permission of and collaborating with local governing bodies. The main objectives of organization are to provide information about health, education and livelihoods to the people, help to lead a moral social life and recognize the importance of historical monuments and cultural heritages of the nation. To fulfill these objectives, the organization conducts and organizes different programmes like free medical checkup, surveys and research, awareness programmes, short term training camps etc.